The Sondra features moisture-wicking fabric linings, stain-resistant uppers, a removable, open-cell PU footbed with Dansko Natural Arch technology, and a slip-resistant rubber outsole. Semi-fitted heel. Moisture-wicking fabric linings and socklining for all-day comfort. Leather uppers; nubuck has been treated witih 3M Scotchgard protector for stain resistance. 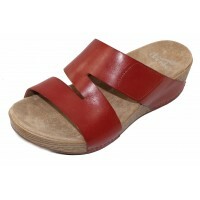 Removable, open-cell PU footbed with Dansko Natural Arch technology for all-day comfort. Lightweight EVA midsole with ABS shank for support. Slip-resistant rubber outsole suitable for dry, wet, and oily/wet surfaces. Heel height 2". 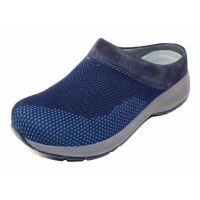 The Sondra features moisture-wicking fabric linings, stain-resistant uppers, a removable, open-cell ..